KVM Sealing Compound is the ideal product for fireproof, gas and watertight sealing of cable transits in bulkheads and type A 60 decks. The sealing Compound is suitable for all types of cables used in shipbuilding. KVM is non-toxic and incombustible. It is made of inorganic raw materials and has an unlimited shelf life. 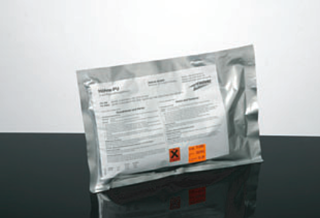 This Sealing Compound is part of a 2-component sealing compound (see other component below). To prepare the compound, two parts powder and one part hardener are simply mixed in a container either by hand or with use of a stirrer. After, the compound can be poured into the cable ducts which should be pre-sealed by using the specially developed MANGANA putty. This Sealing Compound is part of a 2-component sealing compound (see other component above). To prepare the compound, two parts powder and one part hardener are simply mixed in a container either by hand or with use of a stirrer. After, the compound can be poured into the cable ducts which should be pre-sealed by using the specially developed MANGANA putty. 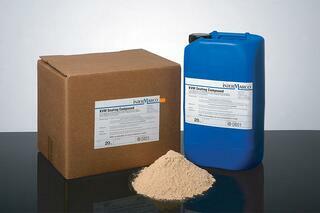 A special putty developed for sealing-up purposes in shipbuilding. It is permanently elastic, and when combined with the KVM Sealing Compounds, MANGANA is optimal for sealing-up cable transits. 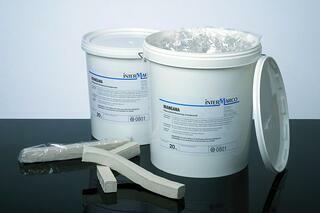 Beyond that, MANGANA putty is highly suitable for sealing cylinders, flanges, joint boxes, cable protecting pipes, etc. It is also fire-resistant, does not drip and is not harmful to one’s health. Mangana is resistant to water , sea water, petroleum products, salt solutions and steam. MANGANA has withstanding temperatures from -30C to +150C- excellent adhesion to cables and metal. It is compatible with all types of cables used in shipbuilding. The KVM Assembly Modules are used as an additional spacer between cables during the sealing of cable transits in bulkheads and decks. The use of KVM Assembly Modules can be particularly necessary when using cables with large diameters (high weight), cables that are under high tension, or in the case of cable penetrations with a high occupancy of cables. Minimum order is 20 units. 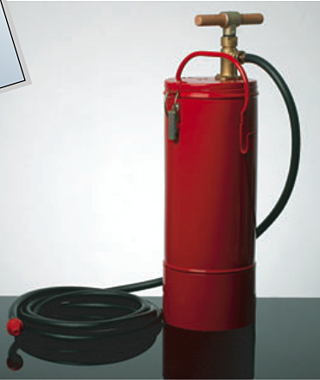 PUR coating varnish 300 is a solvent-free two package cast resin which, after hardening, is very resistant to effects of both the weather and to chemical influences. The coating varnish is used for outdoor cable transits on decks to protect them against aggressive influences like saltwater. The mixture can be painted or poured and is applied onto the dry KVM Sealing Compound surface with a layer thickness of 2 - 3 mm. An optimal auxiliary when filling KVM into hard to access cable penetrations. Mix the two KVM components (Powder and Hardener) in a mixing container according to the processing instruction and then fill the compound into the pump. Put the end of the hose into the filling pipe of the ready prepared cable transit and pump in the compound.